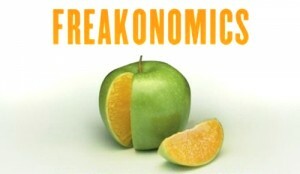 Have you read the book Freakonomics? Readers gushed over the logical beauties presented in Freakonomics; tying “broken windows and buildings left in disarray” to a rise in “gang violence”, and other examples tying together two otherwise un-connected events. I hear a similar tune in the following article. How might an effort to treat sick livestock cause $24,000,000,000 ($24 bln) in damage and killing 48,0000 people? This entry was posted in Awesome biotech on March 1, 2011 by tito.